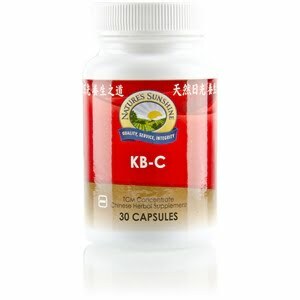 Nature’s Sunshine KB-C TCM Concentrate draws on traditional Chinese medicine to nourish the kidneys and bones. The same formula as KB-C TCM but in a concentrated form, this herbal blend clears water from the body and provides joint support. Known as jian gu or “strengthen the bones,” it is used in traditional Chinese medicine to strengthen the body’s water element. Achyranthes and eucommia are two key ingredients in KB-C TCM. Instructions: Take two capsules with a meal daily. 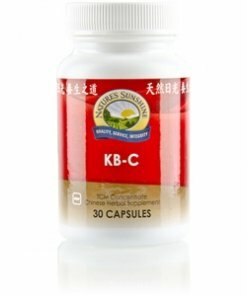 Each capsule is equivalent to 5 capsules of regular Chinese KB-C combination. TCM denotes Traditional Chinese Medicine.